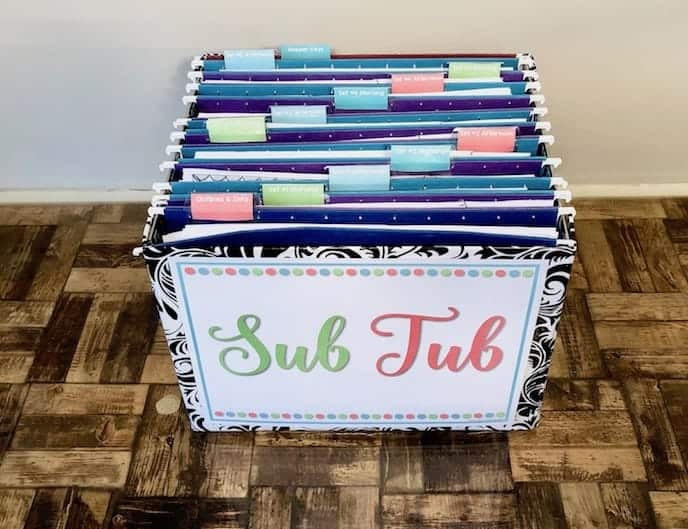 These December and winter themed sub plans are perfect for the month of December! 3rd grade, 4th grade, and 5th grade students will love these activities and you can rest easy knowing they are busy with meaningful ELA activities while you are away. 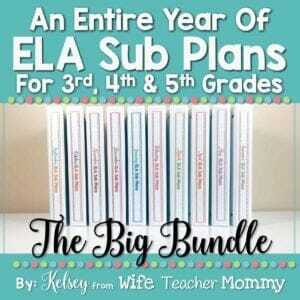 This set of December emergency sub plans can be used as a full day of sub plans OR for several days of your Language Arts block. Themes in the activities and lessons include: Christmas, Hanukkah, Santa, reindeer, elves, snowmen, Christmas trees, gingerbread, and more! The monthly themes are so engaging and fun for kids. 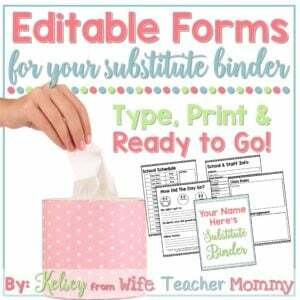 “December ELA Sub Plans” Binder or Folder Cover: This adorable cover can be at the front of your folder or binder! Back cover also included. 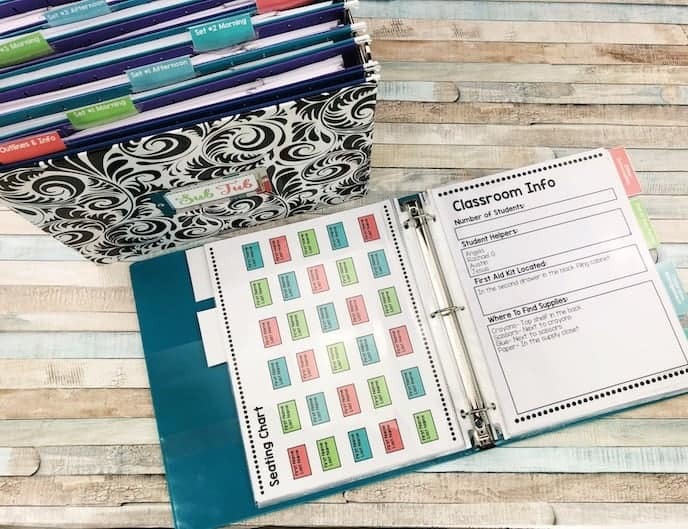 “December ELA Sub Plans” Binder Spines: These spines will work if you put your plans in a 1″, 1.5″ or 2″ binder! Santa Themed Thank You Notes to your Substitute(s): These print-and-go thank you notes are Santa themed! They are a half page so you can save on paper and ink. Ornament Themed “How Did Your Day Go?” Substitute Notes Form: This notes form gives your sub a space to write students who did well, those who struggled, what they didn’t get to, and any additional notes. Perfect to be sure you know just how the day went. It also boasts a fun ornament theme! Christmas Substitute Punch Cards: These punch cards make a great behavior incentive for JUST when there is a sub- a.k.a. when students may need a little more help! 😉 These will do the trick! ELA Lessons #2 December Fixing Sentences: Students will fix sentences at an upper grade level with these fun and engaging worksheets. Descriptive Writing Lesson My Dream Christmas Present: Students will get specific with their dream Christmas present in this lesson! 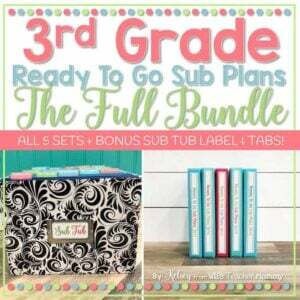 Lesson plan, writing page, and illustration page are included. Reading Prompts & Lesson: 2 reading prompts are included at 2 different levels. Choose one to use or use both and differentiate! One of the prompts is an informational piece about Hanukkah and the other is about making cookies for Santa. A lesson plan is included to introduce the topics for each reading prompt as well! “The Gingerbread Man” ELA Review Game-Students will practice their parts of speech AND figurative language with a FUN and engaging board game! A game board, dice (to fold and glue), game pieces, and game cards are all included. Your kids will want to play it over and over! Christmas Tree Art Activity-The Christmas tree art activity is a lot of fun! Students will decorate the Christmas tree on the outside, and draw and color the presents on the inside! They will also write what they like about Christmas trees. The lesson plan is also included. Answer Keys & Worksheet Guides-Answer Keys and Worksheet Guides are included for ALL student worksheets. I’m a substitute teacher and these pages are SO convenient! A quick read through and I’m ready for the day! Amazing. Thank you so much for your feedback, Dawn! So glad you have enjoyed them.